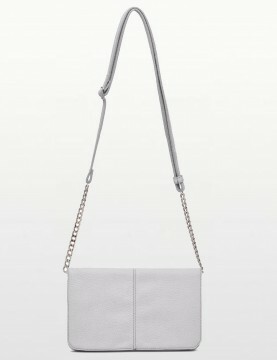 Be tech prepared on the go with Tignanello's luxe Tech To Go crossbody in divinely textured pebble leather. 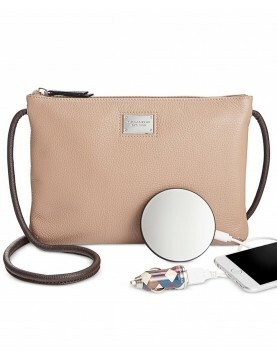 With its compact shape and sleek design, the crossbody contains a USB phone charger and car charger adapter—so you can keep your smartphone and more charged and ready to go in chic style. Give your wardrobe a boost with this versatile crossbody bag as you give your mobile phone a boost with it's handy, hidden charger.